Home › 2020 National Championships › Greg Lewin Awarded 2018 Coach of the Year. 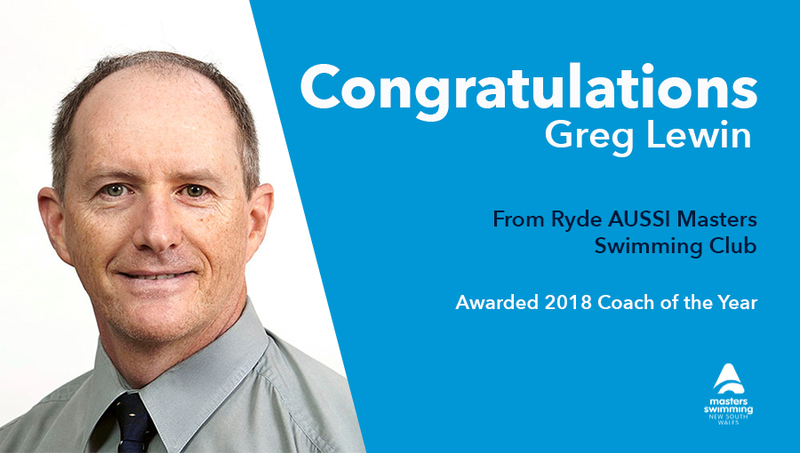 Congratulations to Greg Lewin from Ryde AUSSI Masters Swimming Club – RAMS who is the 2018 Coach of the Year. Greg is a competent, diligent, well liked and considerate Head Coach of a large club with a diverse range of swimmers. He has a passion for developing his knowledge to improve his coaching skills and in 2018 completed 10 different PD activities. In 2018 he was presented with the Club Service Award.